ATREQ Overspeed Trainers help improve speed, strength, acceleration, leaping, first step quickness, stride frequency and length. 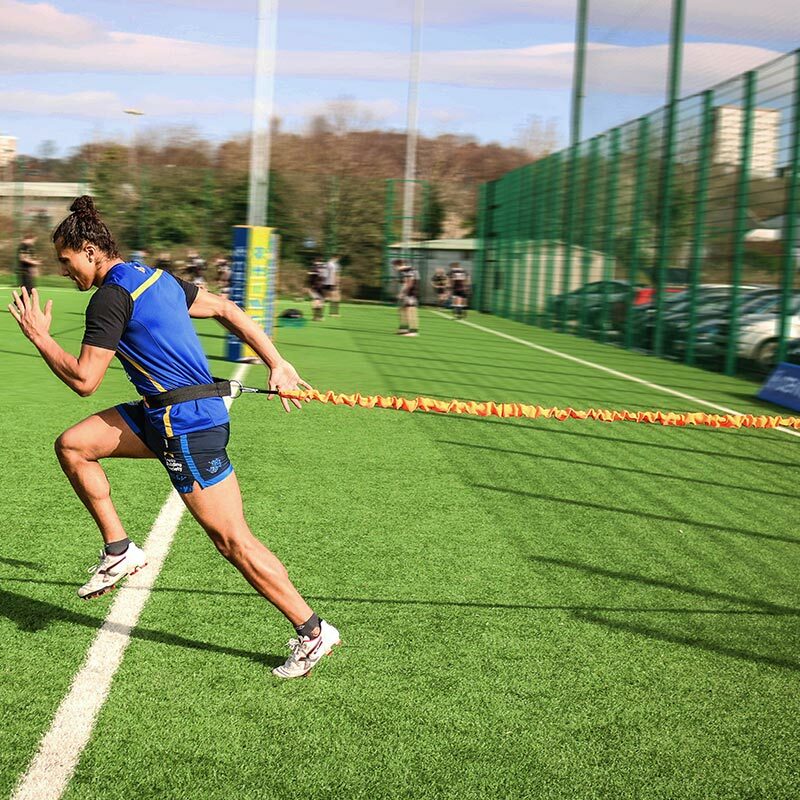 Overspeed training is a great way to build explosive power in the legs and enhance multidirectional quickness. Increases sprinting speeds above normal, providing the most effective means of getting fast in a short period of time. 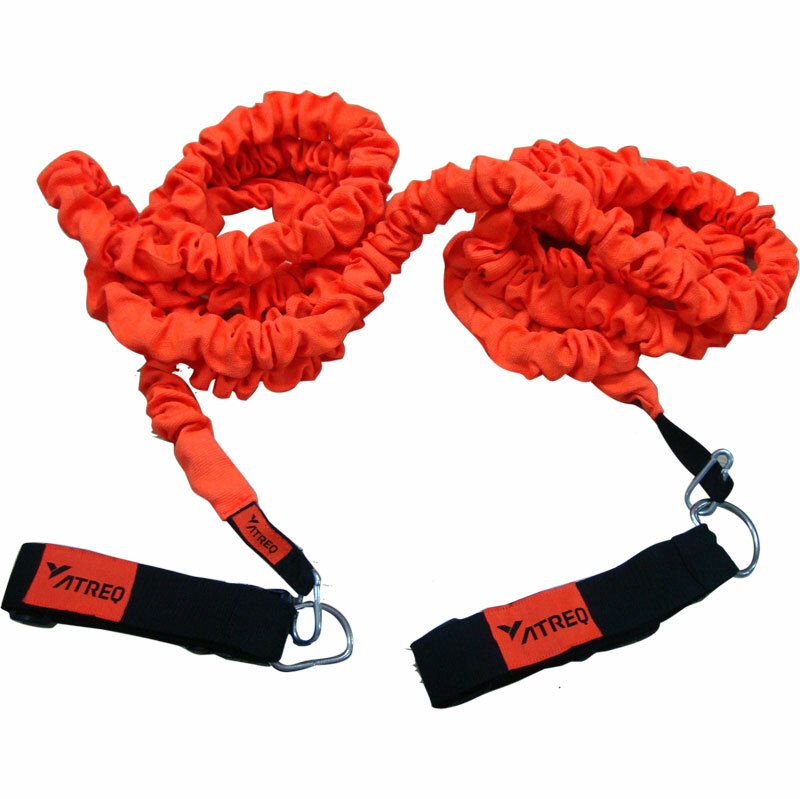 Resistance tubing is covered fully by a fabric sheath to provide maximum safety and to prevent over extension. 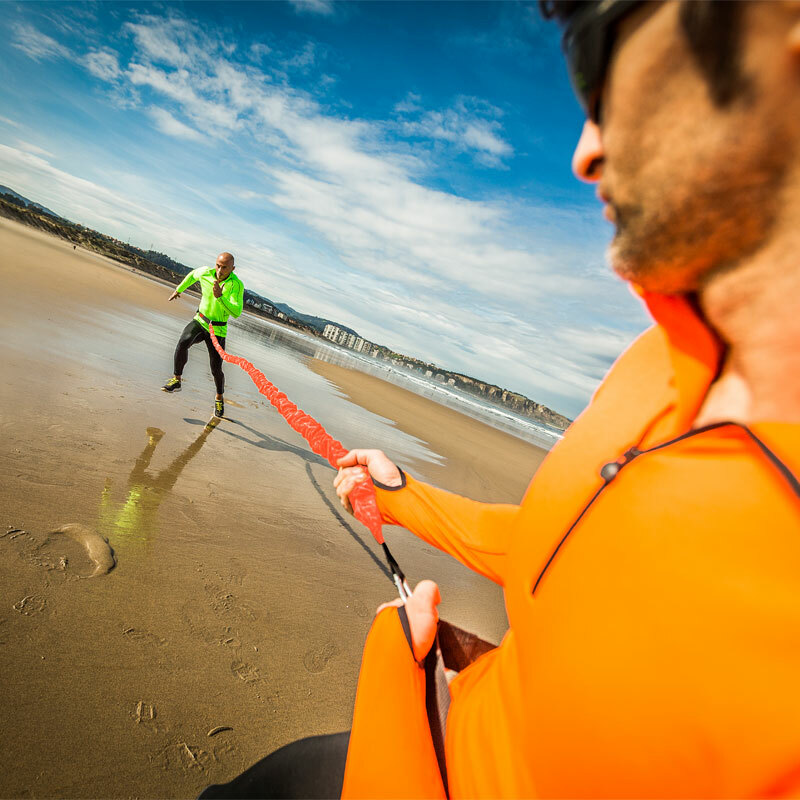 The 3m Overspeed Trainer can be used for lateral drills when two overspeed trainers are connected to one athlete and held in resistance by two others. 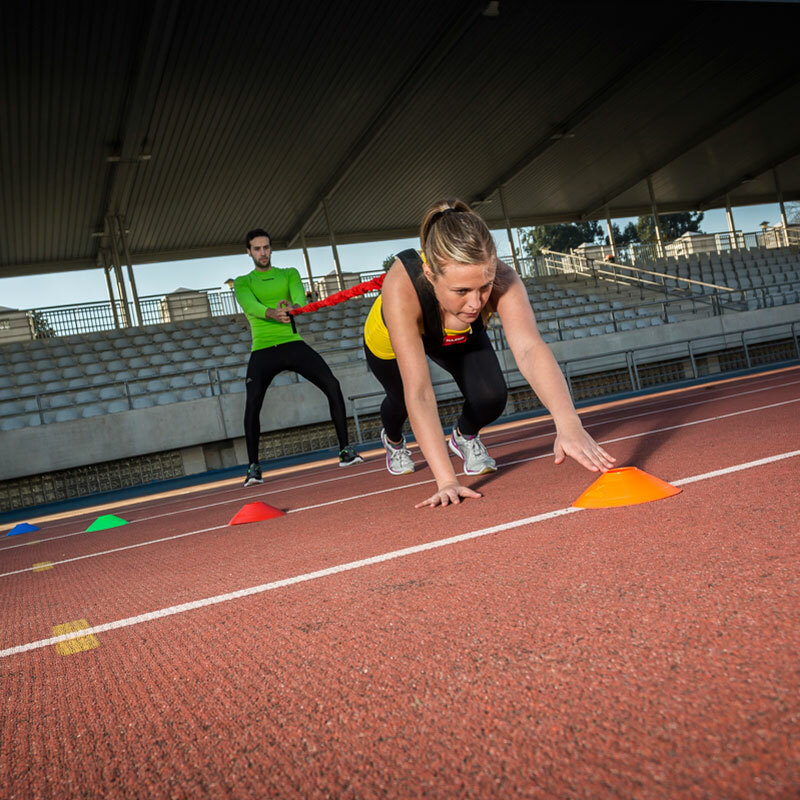 Sets include: Two adjustable padded waist belts, storage bag and either 1 x 3m or 1 x 6m overspeed trainer.